Today is the start of the new season, folks. Pitchers and catchers (and some positional players) have reported and baseball is back. That said, we will turn the hot stove off and review what we have in this two-part post of “who won, who lost” beginning with the winter losers. Here are the top-3 teams who could have (and should have) done more this offseason. Kansas City Royals: Notable Arrivals: James Shields, Ervin Santana, Miguel Tejada, Endy Chavez, George Sherrill, Xavier Nady, Dan Wheeler, Willy Tavares, Chad Tracy and Wade Davis; Notable Departures: Wil Myers, Joakim Soria, and Mike Montgomery; Review: Its becoming almost common place for me to add them to this list. 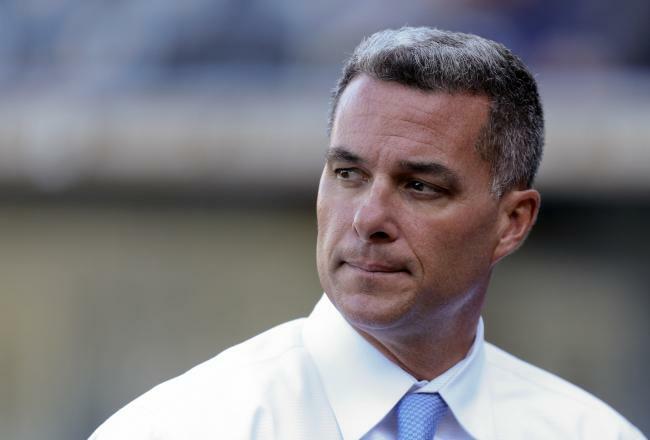 Year-after-year Dayton Moore continues to take a half-step forward and three back with the decision-making in the front office. For me, Jeff Francoeur should have been dealt after 2011 to capitalize on his production that season. Instead Royals fans will now have the “opportunity” to watch Wil Myers become one of the best young outfielders in baseball…in Tampa Bay. The rotation also took a strange turn as they dealt young Mike Montgomery (Tampa Bay) to bring in James Shields and Wade Davis who are middle of the rotation guys at best. Shields will assume the number one role, but he isn’t an anchor at this point and would have been great if supplemented with a move to try to bring in a legitimate front-line starter. With their top arm now being (in my opinion) Jason Adam, who is at least a year and a half away, Royals fans are in for another tough one. New York Mets: Notable Arrivals: Brandon Hicks, John Buck and Travis d’Arnaud; Notable Departures: R.A. Dickey and Josh Thole; Review: I have to give credit to the Mets for pulling off what I think is the coup of the offseason in flipping R.A. Dickey for Travid d’Arnaud (seriously, this guy might break camp with the big club and put up Rookie of the Year numbers). On the flip side, Lucas Duda, Kirk Nieuwenhuis, and Mike Baxter might be one of the least productive and worst defensive outfields in all of baseball. Though not for a lack of trying (they were in on Michael Bourn until he signed with the Indians on Monday) they still need help at all three spots. Uncertainty also looms in the rotation because of Johan Santana and his injury concerns and whether or not Dillon Gee, Shawn Marcum, and Jonathan Niese can form a competent enough group to give up and coming Matt Harvey more time to develop. Colorado Rockies: Notable Arrivals: Wilton Lopez; Notable Departures: Jonathan Sanchez and Jason Giambi; Review: The Rockies are coming off a 2012 season in which they had a run differential of -132. So it makes sense that the only addition to their pitching staff was reliever Wilton Lopez, right? Yeah I don’t buy it either. The offense was third in the National League in runs scored but dead last in runs allowed for starters and relievers. Blame the high altitude all you want for the reason pitchers can’t get it together in Denver, but something more should have been done (or attempted to be done) to get the ship corrected for an offense that has no issues scoring. San Diego Padres- Anemic offensively and holes defensively, they would have done well to go after help (Adam LaRoche would have been a perfect fit). Also could have used a second basemen to replace Forsythe and his 12 errors (history of defensive problems dating back to the minors). Los Angeles Angels- Funny how a team that went out and got the top prize in free agency made this list, but I don’t think enough was done to help the rotation in the event of a setback with Wilson or Weaver.